Joe is the author of Parenting: The Long Journey (Wiley and sons, 2006) and publishes regularly on line on a variety of topics. He is well respected for his empowering "figure it out and fix it" approach to relationships which has allowed him to assist others in moving towards healthy and long-term solutions to some of the day-to-day problems and issues faced in navigating through the realities of family and work life. Parenting: The Long Journey stands out in its approach to parenting in that it reinforces the view that parenting is primarily a relationship requiring a particular attitude and a series of skills readily available to parents. In this way it is both instructive and encouraging for parents in their respective day-to-day of parenting their children in a variety of family constellations and real life circumstances. 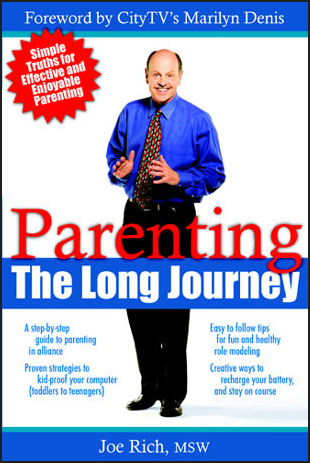 Although good advice for parents may be found in a variety of resources, Parenting: The Long Journey couples solid advice with encouraging words that can lead to an attitude and relationship approach that will last for the many years after the active parenting of children comes to a close and children enter into adulthood. This makes the material widely applicable to parents of every social class, family structure and education level. The book offers guidance on approach in general which applies to a wide variety of parenting issues. The book includes plenty of real life examples and stories. The advice is non-judgmental and its philosophical approaches like "parents are experts on themselves" and "aim for better not perfect" make the book very inviting to those faced with the challenges of parenting in today''s world.